8.42 points at 38 votes (rank 33). GameBase64 10 1998 - Classic! 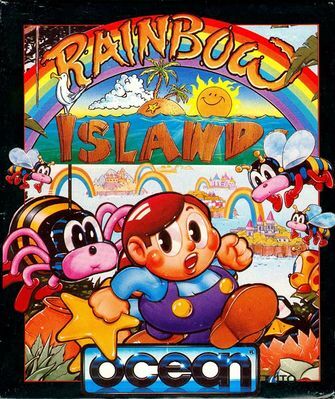 Rainbow Island is the sequel of Bubble Bobble, but it has not much to do with it. Our hero is sent on exploration tour through the rainbow country. The task that awaits him here is: Up to the sky! To make it not too easy, there are many funnily drawn enemies that give you a hard time. Fortunately, our hero is equipped with an umbrella, which can cast rainbows. With these rainbows you can trap and elimintate your enemies. Furthermore, the rainbows can be used to walk on and reach higher spots by using them as stairs or bridges. But you should not niggle for too long, as when the text "hurry" appears, the water level rises and your hero should take a flight and rescue himself as fast as possible on the uppermost platform. The whole plot spans over seven islands, of which each one surprises the player with new funny graphics. Each of the islands is divided into four sections with an ultralarge end monster. Although the C64 version was shortened (only 7 islands instead of 10), it´s a well done remake of the original arcade version. Many finesses and surprises await the player, so that the game fascinates time and again. Magnificent sounds and graphics give the game its own spirit. All colors of the C64 were used for sprites and backgrounds. 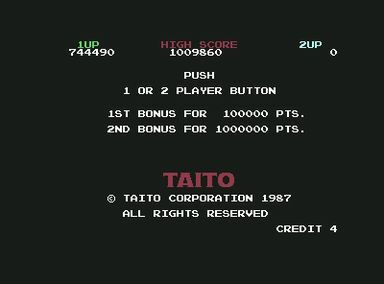 The screen is 2D and scrolls softly up- and downwards, also the controls are well-done. If you collect all seven small diamonds in a particular order, you get a big diamond for defeating the islands final boss and on top of that, a door appears. If you touch it, you get a permanent ability, e.g. wings on island number 4. If you image the screen divided vertically into seven equal areas you know where approximately a hit enemy has to land to produce a diamond of the required colour. Stars explode when being touched and destroy all hostile characters. Items can not only be picked up by walking over them, but also by throwing a rainbow at them. Additionally can a thrown rainbow reveal hidden items. Sledgie: "To reach a high score in the game Rainbow Islands, you need to be a fan of arcade games of this type and bring the necessary skill. Playing the first levels was fun. Therefore my description does not refer to the whole game story. Maybe somebody of you can provide me with that. Everything is down very well, that's why I give the full 10 points." Jodigi: "The game still well ties my to the screen and has a high addiction potential. Especially the simple game principle with the attractive graphics, the funny music and the slowly raising difficulty level has been realized rather interestingly and hanging behind is avoided through the indirect corresponding time pressure. From me 10 points as well." TheRyk: "The only thing which made hardly any sense at all was explicitly calling it 'The Story of Bubble Bobble 2'. It only leads to disappointment that you do not play the cute dragons anymore, no matter how cute the new player character is. And by the way, what 'story'? Of course, the game principle is in a way similar, but there is so much really great stuff that is different like up-/down-scrolling instead of single screen, the rainbow as a weapon etc. etc. Anyway, one of the last top games released commercially for the C64, big fun also in 2 player mode, 9 points." 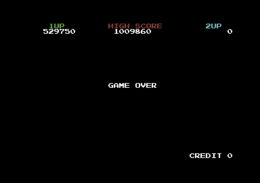 The arcade hit "Bubble Bobble" was a burner on the C64. 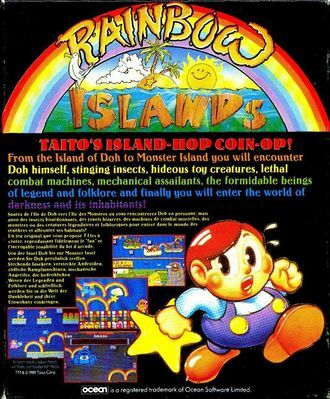 Also the sequel "Rainbow Islands" became a popular game and Ocean finally wanted to captivate the players in front of the screen with "Parasol Stars (Rainbow Islands II)". But as somebody broke into the lead programmer's flat for the C64-version and stole the computer including the source code, the game was "only" released for Atari ST/E, NEC PC Engine/TG-16/PCE GT/TurboExpress, Nintendo Game Boy and Nintendo NES (Famicom)/Sharp Twin Famicom, whereby the PC-Version is the most successful. More info in the text Under the light of a Parasol Star. Rainbow Islands in the Killer List Of Videogames. This page has been accessed 15,956 times.